Notice that our invoices are broken up into five distinct sections. This section is found in the upper left-hand corner of the invoice, and contains our basic contact information, which should be sufficient for tax and accounting purposes. Your contact information is found directly beneath our contact information. We pull this information directly from the data that you've configured within your profile in the dashboard. To access and edit these settings, first click your name in the upper right hand corner of your dashboard, then click "Profile". 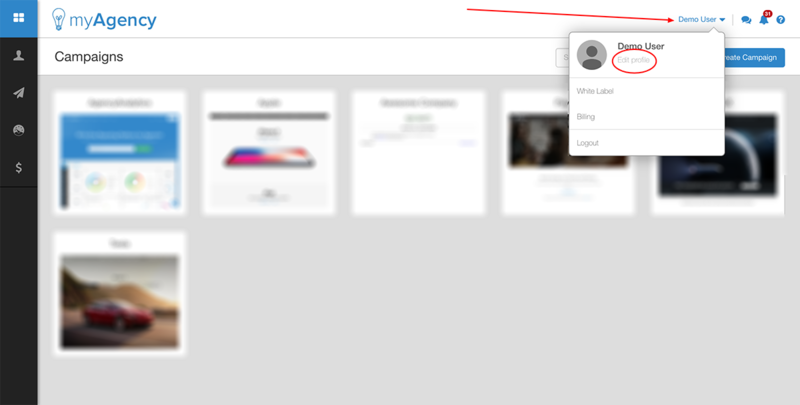 Your name on the invoice is pulled from the "User" tab of the profile section. The rest of the data is pulled from the "Account" tab of the profile section. To configure a VAT number of other tax ID to be displayed on the invoice in the "Your Information" section, simply fill out the "VAT Number" field in the "Account" tab of the profile section. This section contains a summary of the vital data that pertains to this invoice. Paid/Unpaid: A simple, "at a glance" indication of whether or not this invoice has been paid in full. This section contains data that refers to your subscription itself. You'll the subscription ID, which we use internally to identify your subscription, as well as the subscription dates that this invoice pertains to, and finally your next billing date, at which your next invoice will be generated. This section provides you with a detailed breakdown of the calculation of your current charges and payments applied to this invoice. You'll find the name of your plan and any add-ons, the pricing for for each line item, any taxes applied, any credits applied, and then finally, detailed information about your payment and payment method and amount due if any.